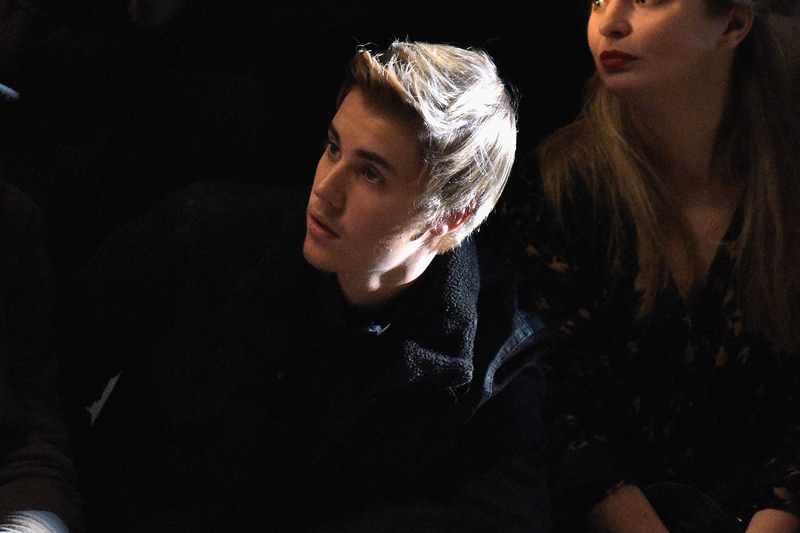 Justin Bieber Teases 'Zoolander 2' Cameo, But What Role Will He Play In The Film? It seems like Zoolander 2 is doing its absolute best to be bigger and better than the film that came before it. Then again, we probably should have gotten that from the epic announcement of the sequel, which came in the form of Ben Stiller and Owen Wilson walking the runway at a Valentino show. As the number of celebrities who are confirmed or rumored to have a role in the film continues to increase, the names get weirder and weirder. Apparently, Justin Bieber will be in Zoolander 2 — or maybe he's just a huge fan of Zoolander 2. Either way, Stiller and Bieber both posted a photo of both of them doing the Blue Steel to their social media accounts, and there's really only one conclusion we can draw from that. There are certain things that we can already guess just from looking at the picture. In the first place, Bieber will probably be playing himself. His acting experience doesn't really extend to much else, after all, and I doubt he would have been cast in a major role this late in the game. In the second place, Bieber will probably be playing an exaggerated version of himself, because Zoolander is as much a parody film of the entertainment world as it is a coherent, enjoyable work. Let's look at our options. I'm not sure if it will even be worth it considering how much you would likely have to pay Bieber just to show up, but there is a solid chance that he might appear briefly in a group shot. Perhaps there's a fashion show and Bieber is one of the many celebrities glimpsed in the audience, never to be seen again after the camera pans around at the beginning of the scene. Unless he's making a funny face at the time, there's not much he can do with that material. Zoolander 2 could very well pull a Hot Tub Time Machine 2 and have a character turn on the TV just in time to catch the Comedy Central Bieber Roast or to catch an interview that Bieber is giving. Maybe his monkey will be there. Maybe he'll be doing a parody of the infamous Tom Cruise-Oprah interview. Maybe he'll be a surly primadonna like everyone thinks that he is. Either way, he wouldn't technically be in the movie the way we expected, and that could work to his comedic favor. As long as the line isn't, "Hi, guys," then there's a lot that Bieber could do if they actually give him a brief speaking role. It might be incredibly brief, but it's all about the delivery and timing with something like that. I laugh at half the things he says already without him even trying. Imagine if he actually tried! If they expand his role to being an entire conversation that he's having another character, then it has the potential to be the funniest thing he could possibly do. Maybe they could have Bieber do an entire parody of the fact that he's from Canada, affecting an intensely stereotypical Canadian accent and trying to talk to everyone about maple syrup, moose, hockey, and milk in a bag? Bieber seems like he would have a pretty easy time being a straight man. Perhaps he'll bring the comedy by reacting to the insane things that other characters or doing. Maybe Derek Zoolander comes to him hoping to break into the music scene by cameoing on Bieber's next single, and Bieber's face makes it clear he's just not having it. Picture this: Zoolander 2 is really just a two hour excuse for Derek Zoolander to take Bieber under his wing and attempt to teach him the art of the Blue Steel. From this photo, it already looks like it's not going well. Either way, having Bieber cameo in the sequel film isn't the worst decision in the world. As the Bieber Roast proved, the singer can be pretty funny when he wants to be.